Handsome veteran John T. Roach wins the sheriff's race in Graves County, Kentucky, in 1921, the first year American women exercise the right to vote. Just a few months later, Sheriff Roach is killed in the courthouse in front of several witnesses. The shooter is Roach's friend�Deputy Sam Galloway. Within a few days, Roach's wife, still in her twenties, is appointed Kentucky's first female sheriff. So begins a community's quest for justice and the struggle for redemption. 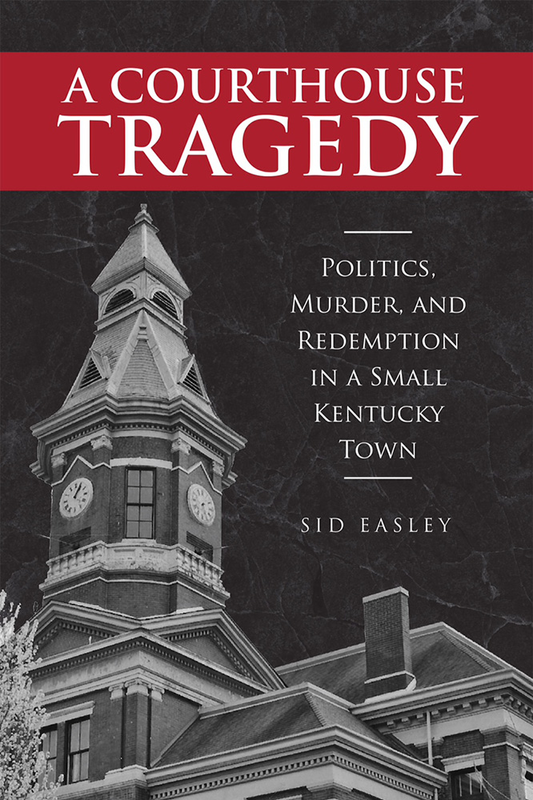 Attorney and former judge Sid Easley rescues this true tale from obscurity and illuminates the circumstances and personalities behind A Courthouse Tragedy. "A great read! Sid Easley's narrative is fascinating and dramatic, with plenty of intrigue and suspense and tragedy. He not only brings some interesting characters to life, he also interprets convincingly the character of the place, Graves County, as it was in the 1920s. Many readers will both recognize it and see it for the first time." —Bobbie Ann Mason, author of In Country, The Girl in the Blue Beret, Hemingway Foundation/PEN Award-winning Shiloh and Other Stories, and Feather Crowns. "This is an incredible story, told so well by an author who has a unique feel for the place, the passion, and the time." —Bill Cunningham, Justice of the Kentucky Supreme Court, author of Castle: The Story of a Kentucky Prison, On Bended Knees: The True Story of the Night Rider Tobacco War in Kentucky and Tennessee, and A Distant Light: Kentucky's Journey toward Racial Justice. "Of course, Sid Easley knows the law, but he also knows how to "do" history and how to write history. The violent and tragic, yet redemptive, story of Sam Galloway, John T. Roach, Lois Roach — Kentucky's first woman sheriff — and all the rest, does for the Jackson Purchase in far western Kentucky what so many other published accounts have done for eastern Kentucky. The difference is that Easley's story ends in hope, not despair." —Duane Bolin, Murray State University history professor, and author of Bossism and Reform in a Southern City: Lexington, Kentucky, 1880-1940, and the forthcoming Adolph Rupp and the Rise of Big-Time College Basketball in America. 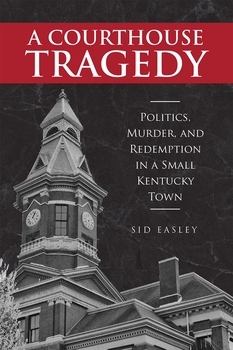 Sid Easley is a native of Graves County, Kentucky, a graduate of Murray State University, and the University of Kentucky College of Law. After three years of military service, he returned to Murray, Kentucky, and the private practice of law. He was elected Calloway county attorney for two terms, and became the first district judge ever elected for Calloway and Marshall Counties. He returned to private law practice, but actively pursued civic involvement, primarily in education. He was elected to the local school board and later served as chair of the Murray State University Board of Regents for eleven years. Easley is married to a college classmate, Melissa, and has two sons, Eric, a US diplomat, and Don, a portfolio manager with T. Rowe Price in Baltimore. His career in law, education, politics, and as a Sunday schoolteacher for more than forty years, provides him the background to write a local story that involves an election, a courthouse tragedy, a trial, and the search for redemption by a community and the affected families.